Healthy Food and Unhealthy Food | Keep It Up, David! Let’s start with the unhealthy food. My friend Huck, knowing my tendency to blog about Oreos (in posts like this one, ooh, and this one!) alerted me to this news story that has been popping up all over the interwebs this week. Have you heard about the newest Oreo that Nabisco is releasing in stores this summer? That’s a cookie, a layer of chocolate cream, another cookie, a layer of regular cream, and another cookie. My mouth is watering just looking at it. But I will need to stay away, though… if I get my hands on a bag of these calorie- and fat-bombs, than I will eat the entire thing. I’ve done it before. My question is this: Why stop there, Nabisco? Maybe they have bigger plans ready in case this particular product flies off the shelves (and why wouldn’t it?). 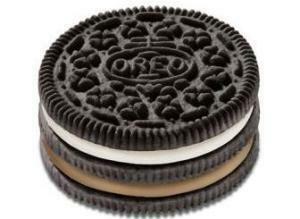 I’d like to see a DoubleStuf Triple Double Oreo – which would be the cookie above with twice as much of each layer of cream. Then they could have a Quadruple Triple Golden Oreo, which would be cookie, cream, cookie, cream, cookie, cream, cookie, with all the cookies the vanilla flavor. Or, why not the Fudge-Covered Peanut Butter DoubleStuf Heads or Tails Quadruple Triple Oreo, which would be chocolate cookie, peanut butter cream (x2), golden cookie, peanut butter cream (x2), chocolate cookie, peanut butter cream (x2), golden cookie – and the whole thing dipped in fudge. Then, someone at the Texas State Fair, which is renowned for its deep-fried-food innovations, can toss the whole thing in the FryDaddy, and make a Deep-Fried Fudge-Covered Peanut Butter DoubleStuf Heads or Tails Quadruple Triple Oreo. My god, I think I head a heart attack just thinking about it. Let’s move on to a (much) healthier food item. 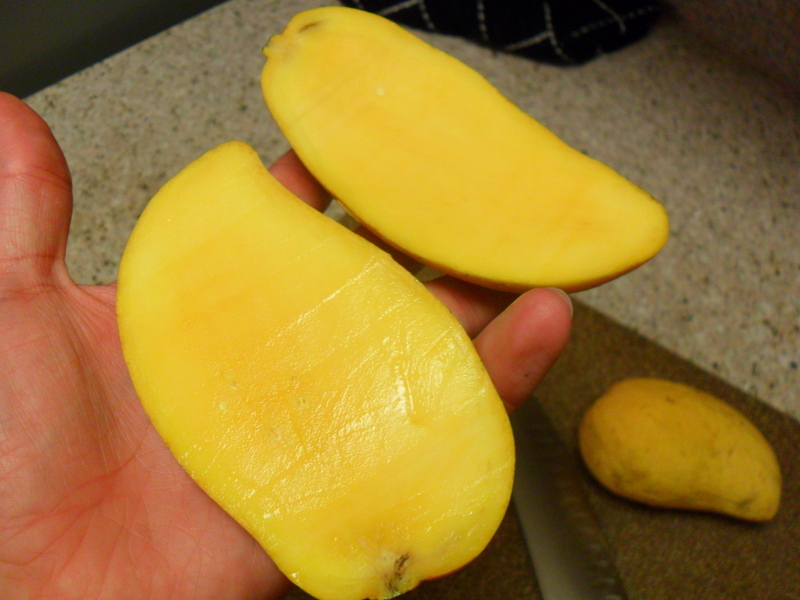 Remember the yellow champagne mangoes I recently bought? Well, the other day, I ate ’em. And they were delicious. They tasted like regular mangoes, which I just learned were called Tommy Atkins mangoes, but they’re a little bit smaller, have yellow skins, and smaller, seemingly flatter pits. 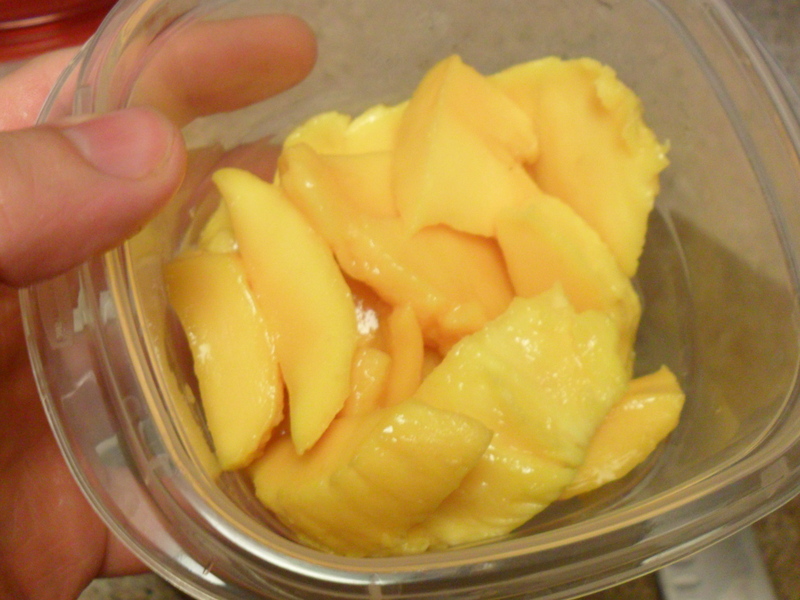 Mango is so freakin’ good. If you don’t like mango, than there’s something wrong with you. There – I said it. Oh, and if you ever run into my friend Huck (who showed me that bit of Oreo news), ask him what a “ho-fro” is. This entry was posted on Friday, May 13th, 2011 at 12:22 am and is filed under Uncategorized. You can follow any responses to this entry through the RSS 2.0 feed. You can leave a response, or trackback from your own site. You seriously seem to like those Oreo cookies. 😉 I am quite happy they don’t really sell those over here, I might fall for them as well. They only sell two kinds and fortunately I have been quite capable of staying clear of those. 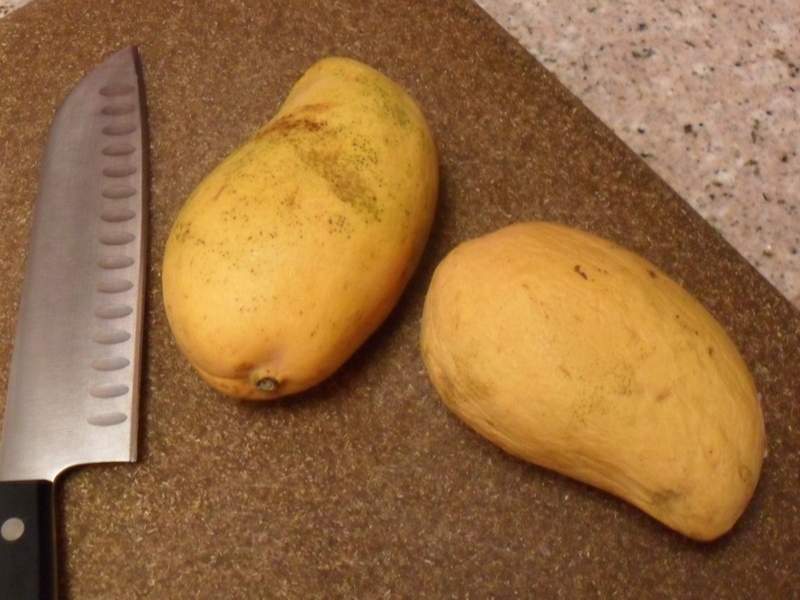 Coming to the healthier food choices, could you write something about papayas? I would really like to read about your take on them. Thanks. I am sure your plateau will eventually come to an end. Keep it up!! All the best. I am pretty sure that those oreos pictured will end up deep-fried at the Texas State Fair. Ugh! Ok, yeah, I’m totally going to have to avoid those Oreo cookies. Basically, any of the original chocolate cookie Oreos are my kryptonite, especially the PB filled ones. lol! So we need to stay away from the oreos! Funny thing is i hadnt had an oreo in years, finally had one a few weeks ago, on my “cheat day” and didn’t like it! I was so suprised and happy 🙂 . Since i’ve started on my weight loss journey again in mid feb i’ve lost 10lbs, and love reading your blogs david! Thanks for the inspiration to be a healthier person 🙂 . 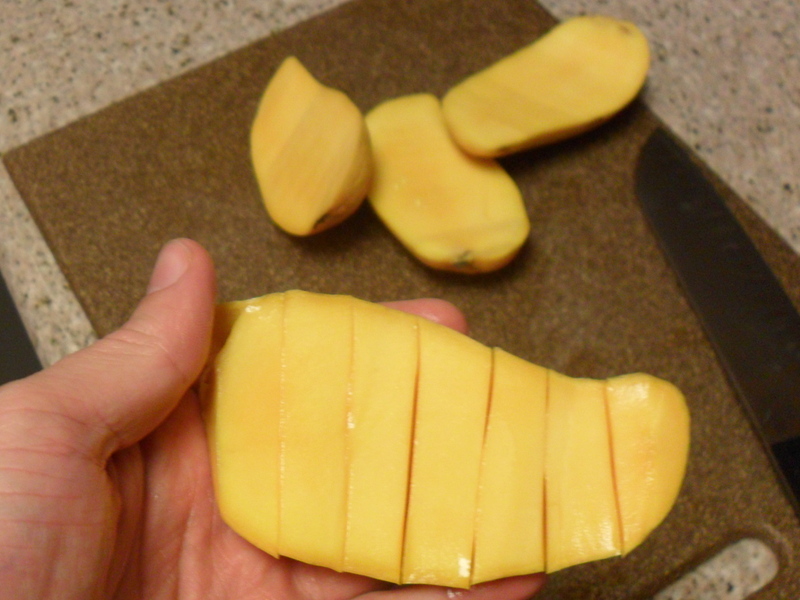 And a comment about the mangos… another way to eat them is to peel the whole mango with a thin knife, put a fork in it, and eat around the pit. Quite messy but sooo good, and you dont waste as much of it 🙂 good luck! Please tell me you made up your friend’s name; nobody is REALLY be named that, are they?